News Americas, NEW YORK, NY, Fri. Dec. 7, 2018: Only a single woman from the Americas – Latin America and the Caribbean – has made it on to Forbes’ 100 Most Powerful Women List for 2018. She is Michelle Bachelet, the Chile-born human rights advocate and former politician who was this summer appointed as the United Nations High Commissioner for Human Rights. Hot Deal! 7 Night Caribbean Cruises from $439 on Royal Caribbean, only at Cruisedirect.com! ALL Guests 30% OFF, Plus Up to $1,000 to Spend On Board! 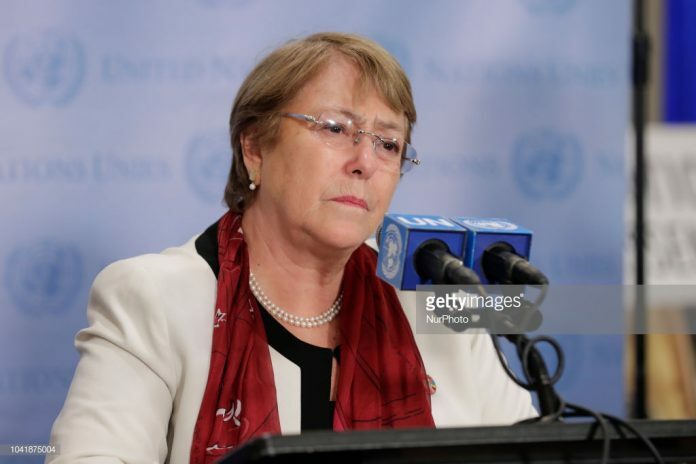 Bachelet’s UN appointment is for a four-year term and since taking up the post, has condemned the Trump administration’s separation of migrant families and the Rohingya refugee crisis. She ranked at #85 on the list which is dominated by Americans.